Mr. Cipriano was given Carmen’s actual saxophone to play, and the Cipriano family still owns the instrument. Mr. Cipriano is survived by his children William and Dale and grandson Eddie. Morton Estrin, 93, a world-renowned concert pianist, recording artist and master teacher, died on Dec. 7. He had been a member of Local 802 since 1944. Born in Burlington, Vermont, Mr. Estrin knew early on that he had found his passion and would devote his life to the piano. His influence in the world of music has been far-reaching, from producing a musical dynasty within his own family to the legacy he passed on to his many students over the years, both privately and at Hofstra University, where he served as a distinguished professor of music for over 50 years. A good number of them have achieved prominence or fame in their own right, including John Mauceri, Jeffrey Biegel, Billy Joel, Deborah Gibson and the late Seth Carlin. 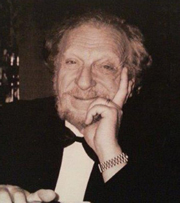 Mr. Estrin was known for his mastery of some of the most demanding music in the piano literature. He performed the complete preludes of Rachmaninoff at Lincoln Center. His historic first-ever recording of the Scriabin etudes, Opus 8, won “Best of the Year” designations from the New York Times and High Fidelity magazine. He continued expanding his repertoire throughout his life, performing Mussorgsky’s massive “Pictures at an Exhibition” for the first time when he was in his 80s. Morton Estrin was a brilliant performer and dedicated teacher, whose charismatic personality, beautiful spirit, humanity and great talent have inspired and brought joy to all who knew him. He will continue to be a presence in the music world through his recordings and the legacy of his teaching. Mr. Estrin is survived by his wife Roberta, his daughter Coren (and her husband Edward), his son Robert (and his wife Florence), grandchildren Brian, Evan, Jennifer, David and Sean (and his wife Renee) and his new great-grandson Mason. Mr. Estrin is also survived by Roberta’s daughter Stefanie, Roberta’s son Mark (and his wife Sabrina), Roberta’s grandchildren Alex, Kate and Aidan, and Roberta’s brother Warren (and his wife Carol). 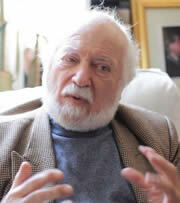 Maurice Peress, 87, the conductor, educator and author, died on Dec. 31. He had been a member of Local 802 for over 40 years. Mr. Peress began his career as a trumpeter in dance bands in the Catskills and honed his skills playing in an Army band during the Korean War. In 1961, he won a one-year position as an assistant conductor with the New York Philharmonic under Leonard Bernstein, who later chose him to conduct the premiere of his piece “Mass.” Mr. Peress’ career took off, earning positions with the Corpus Christi Orchestra, Austin Symphony Orchestra and Kansas City Philharmonic before settling down as professor at the Aaron Copland School of Music at Queens College, where he established a master’s degree in conducting and conducted the Queens College Orchestra for 33 years. 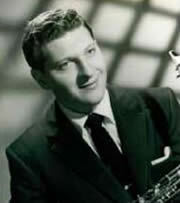 Mr. Peress also collaborated with Duke Ellington throughout his career, arranging several of Ellington’s works for orchestra and collaborating with him on Ellington’s musical “Queenie Pie.” Mr. Peress guest conducted many orchestras around the world and most recently served as the music director and conductor of the New Britain Symphony Orchestra in Connecticut. He wrote “Dvorak to Duke Ellington: A Conductor Explores America’s Music and Its African American Roots,” published in 2004 by Oxford University Press. Mr. Peress is survived by his brother Herbert; children Lorca, Paul and Anika; stepdaughters Jennifer and Wendy; a granddaughter; and four step-grandchildren. Obituary information from the New York Times and from Wikipedia.